Friday, Feb. 20 at 8 p.m. — RUTLAND — The Paramount Theatre welcomes country music super-group Lonestar on Friday, Feb. 20 at 8 p.m. Known for merging their country roots with strong melodies and rich vocals, Lonestar has amassed RIAA-certified sales in excess of ten million album units since their national launch in 1995 and achieved ten #1 country hits including “No News,” “Come Crying To Me,” and their crossover smash “Amazed” (which was also #1 on the Billboard Hot 100, the first record since 1983’s “Islands in the Stream” to top both charts). The band’s awards include a 1999 ACM Single of The Year for “Amazed” (the song also won the Song of the Year award) and the 2001 CMA Vocal Group of the Year. 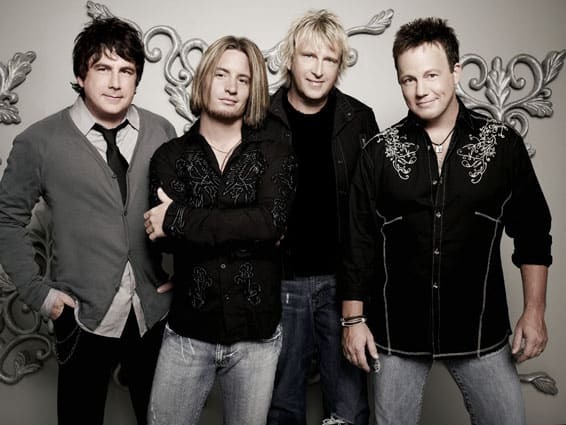 Originally formed in Nashville in 1992, Lonestar played over 500 shows before landing a recording contract. “We travelled for two and a half, maybe three years, just playing in bars,” Britt recalls. “We were starting from zero back then.” But all those gigs paid off. By the time they released their self-titled debut album in 1995, they already had an enthusiastic fan base. Their first single, “Tequila Talkin’,” went Top Ten on the country charts. It’s follow-up did even better: “No News” would be the first of many number one singles for Lonestar. Lonestar continued to ascend in the years that followed. For all their record and ticket sales, the biggest accomplishment of the band’s storied career has been witnessing the impact of Lonestar songs in the lives of others. “Music is a very powerful tool and can help people going through both good and bad times,” observes McDonald. Nowhere has this been more evident than in the group’s performances for U.S. armed forces stationed overseas in Iraq and Kuwait, where classics like “I’m Already There” have elicited powerful emotional displays from men and women who’ve put their lives on the line defending America. “When you can truly say that what you do can make a difference, that it really can impact somebody’s life in a positive way, that’s the greatest thing,” admits Sams. Tickets ($39.75 – $49.75) are available at the venue box office located at 30 Center Street, Rutland; charge-by-phone at 802-775-0903 or purchase online at www.paramountlive.org.